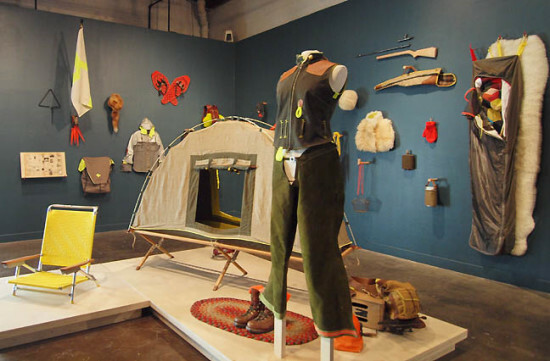 I was honored to participate in the creation of Abigail Anne Newbold‘s collaborative installation, Borderlander’s Outfitter at PNCA’s Feldman Gallery. As a representative of Signal Fire, I led workshops with the graduate students who created objects for the exhibition. They were an inspiring and creative bunch, and the installation turned out impressively.